In January 2018, Netflix released The End of the F***ing World, a series produced with the UK's Channel 4 about a self-proclaimed teenage serial killer named James and his first potential victim, Alyssa, on an impromptu road trip that turns into a crime-filled run from the law. It became an instant hit for the streaming service, but with only eight, short episodes, and a shocking finale that cuts to black before you find out James' fate, questions surrounding a second season arose almost instantly. While some fans argued that a new season shouldn't happen, given that Season 1 ends similarly to the Charles S. Forsman graphic novel it's based on, many others just want more of these incredibly angsty, twisted teens. So what's the status? Here's a rundown of everything we know about what's up with Season 2 so far. F*** yeah, it is, and critics of networks that renew shows that were initially intended to be one-off miniseries will just have to deal with it! In August 2018, the show tweeted a clip of Season 1's dramatic final scene, accompanied by the message, "We'll be f***ing back." Along with the news, Beth Willis, the head of dramatic programming at Channel 4, told Deadline, "We're so proud that this global success story began at Channel 4 and that a second series is on its way. [Writer Charlie Covell's] witty, wonderful world is back and we can't wait to see where she takes it next." 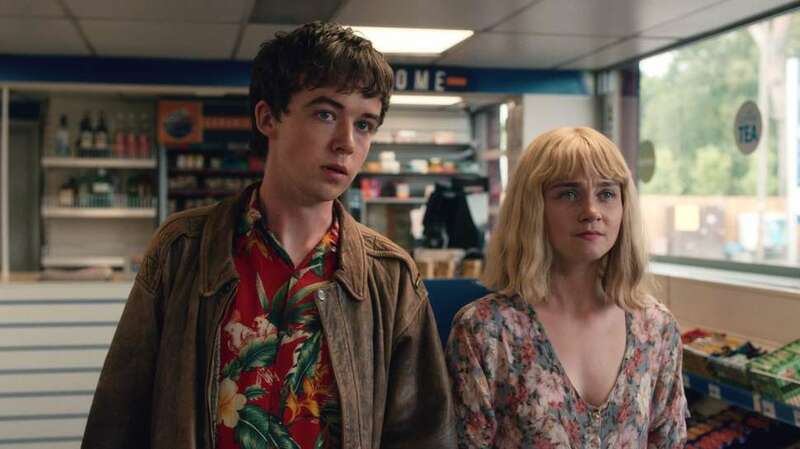 There's no word on an official release date yet, but we do know that the next installment will hit Channel 4 first and that they intend to be a bit more propietary about ownership of The End of the F***ing World. Season 1 premiered on Channel 4 in October 2017, hit their digital service All 4 in full shortly thereafter, and eventually reached Netflix in January 2018. However, according to Deadline, this time around might work differently. Channel 4's content chief Ian Katz said the idea is to differentiate the series as a Channel 4 production, not a Netflix show -- confusion that tends to arise because Netflix labels both its wholly-owned and its exclusive acquisitions and co-productions as Netflix Originals. "Next time we'll run the whole series on the channel then there will be a conventional hold back of more than a year before people see it on Netflix," said Katz. "It really bugs me that people think that show is a Netflix show, I really want to reclaim ownership of it, it’s absolutely a Channel 4 show." This, of course, is not great news for some in the age of online spoilers, but just hold tight because the show did originally air just three months ahead of hitting the streaming service, so with the demand there, it’s a possibility it will return to Netflix sooner than expected. But more likely there'll be a longer waiting period. Since RadioTimes reports the series will hit Channel 4 in late 2019, that almost certainly means well into 2020 for it to turn up on Netflix. Who is set to return? While that dramatic final sequence left many wondering what happened to James, EOTFW wouldn’t be the same if the messed up, beloved leads didn’t return -- so, it’s inevitable Alex Lawther and Jessica Barden will reprise their roles as James and Alyssa. As for the rest of the cast, though, everything is still up in the air. Aside from the core cast, Deadline reported that Charlie Covell who wrote the entire first season is set to write the next, as well as executive produce this time around, along with Andy Baker, Dominic Buchanan, Jonathan Entwistle, and Ed Macdonald. Oh f***. The End of the F***ing World has started production for S2! Netflix and Jessica Barden took to social media in early March 2019 to share that filming for the upcoming season is well underway. Along with a pic of Barden camera-ready as Alyssa, an image also surfaced of the cover of her Season 2, Episode 1 script. While you can’t get a peak inside -- and it’s very strategically not Alex Lawther's script, since his character’s fate is still up in the air -- it does appear it’s possible filming actually began back in early January 2019 based on its January 3rd date. Since then, the crew has been spotted filming around Wales, both at a bridal shop in the city of Swansea and in the wooded locale of the Forest of Dean. Braden was reportedly seen wearing a wedding gown on set, which might hint that the crazy kids spontaneously get hitched in Season 2. Oh, f***! Season 1 directly followed Charles S. Forsman’s graphic novel, which ends by basically implying James’ death -- but the TV adaptation left things a little bit up to our interpretation by never actually showing the character’s fate. (And, in part, opening up the possibility for a second season.) Because the first season wasn't really the end of the world, it could be that Season 2 picks back up right on that SWAT team infiltrated beach where we left the teenage rebels with James still alive. Perhaps the new episodes follows the legal bind that James and Alyssa are now in -- and based on the fact that they’re young runaways wanted for murder, it’s possible they’ve become quiet a high profile case. Or, perhaps James did die and he’ll only return in the form of flashbacks -- but that seems unlikely as showrunner Jonathan Entwistle told us at Thrillist last year if the series were to continue, for him, "it’s about James and Alyssa." He said, "I think that's what people have connected with. I think a Season 2 would have to involve James and Alyssa somehow. I just love the world of them out there on the road, doing something in a weird world. So for me, any story that we expand keeps them out there somewhere." As for what the masterminds behind James and Alyssa are hoping for, Lawther told DigitalSpy his co-star wants Season 2 to kick off with an actual "everything is coming to an end" sequence, and even a number in a different direction for the series. "[Barden] was saying how she would like the second series to start with a musical on the beach -- taking a role in a musical version of The End of the F***ing World, which I would be completely up for!" This was later echoed by the series' writer Covell in speaking to Vanity Fair about Barden, saying she wants to "channel Liza Minnelli into Alyssa," which could be a fun side of the character, especially if she’s now in the spotlight as an infamous killer. While everything is speculation at this point, do expect to see a lot more of James and Alyssa’s ride or die relationship -- perhaps now more than ever if they finally have to come to terms with the very adult problems that they were trying to escape in the first place. While fans have been critical of additional episodes since Season 1 aired because of, again, that ending, lack of source material, and the potential to ruin something near perfect to begin with -- it’s possible to proceed with caution because the showrunners are taking any and all qualms with continuing into consideration! Entwistle explained to us, "I've seen the series of press and reviews from the slightly older viewers where they're like, You can't make a Season 2 because it would do this, this, and this. All these conversations are valid. So we're looking at what the people who loved the show are saying, to see how we can unpack that and how we could continue the tone of the show." So, quit your bitching and just buckle up for Season 2. Be sure to check back, as we’ll continue to update this post as more news is announced. Sadie Bell is the entertainment editorial assistant at Thrillist and she low-key wants to go on a road trip with James and Alyssa.